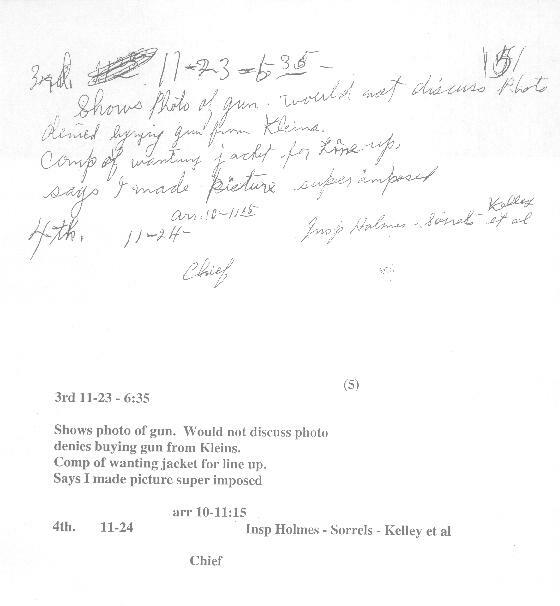 The following affidavit was executed by J. W. Fritz on June 9, 1964.
fell after being ejected from the rifle. After the pictures were made, Detective R. M. Sims of the Homicide Bureau, who was assisting in the search of building, brought the three empty hulls to my office. These were delivered to me in my office at the police headquarters. 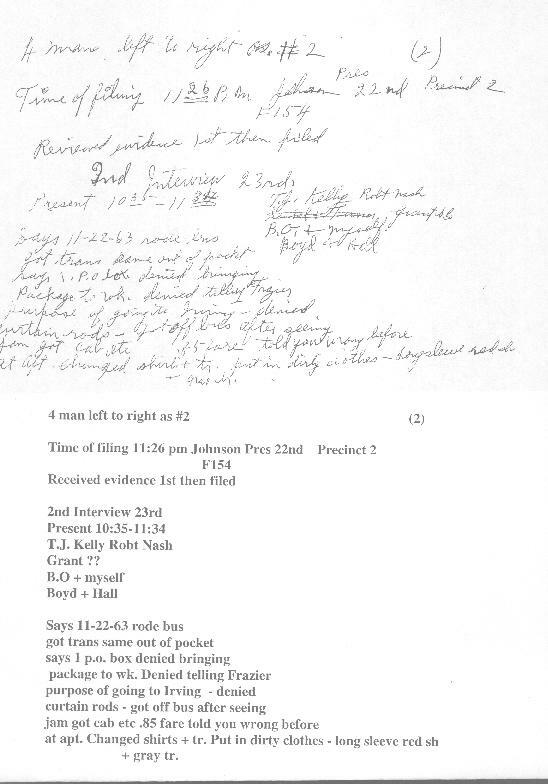 I kept the hulls in an envelope in my possession and later turned them over to C. N. Dhority of ,the Homicide Bureau and instructed him to take them to Lt. Day of the Identification Bureau. I told Detective Dhority that after these hulls were checked for prints to leave two of them to be delivered to the FBI and to bring one of them to my office to be used for comparison tests here in the office, as we were trying to find where the cartridges had been bought. When Detective Dhority returned from the Identification Bureau, he returned the one empty hull which I kept in my possession. 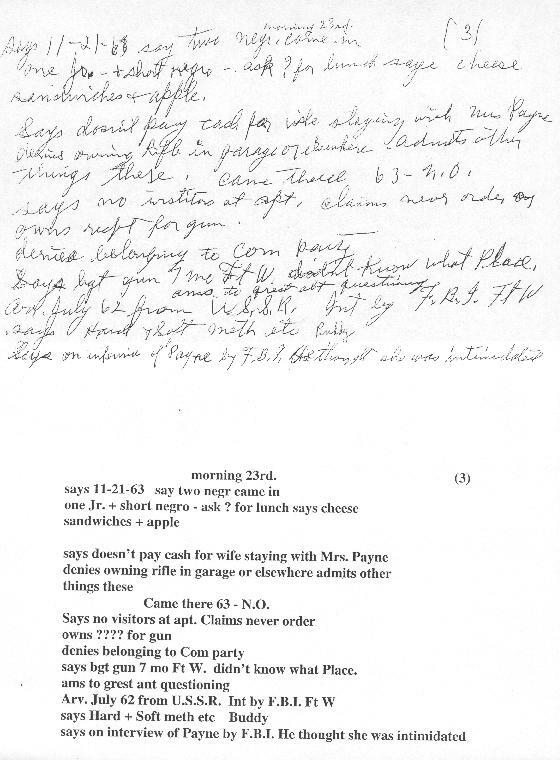 Several days later, I believe on the night of November 27, Vince Drain of the FBI called me at home about one o'clock in the .morning and said that the Commission wanted the other empty hull and a notebook that belonged to Oswald. I came to the office and delivered these things to the FBI. 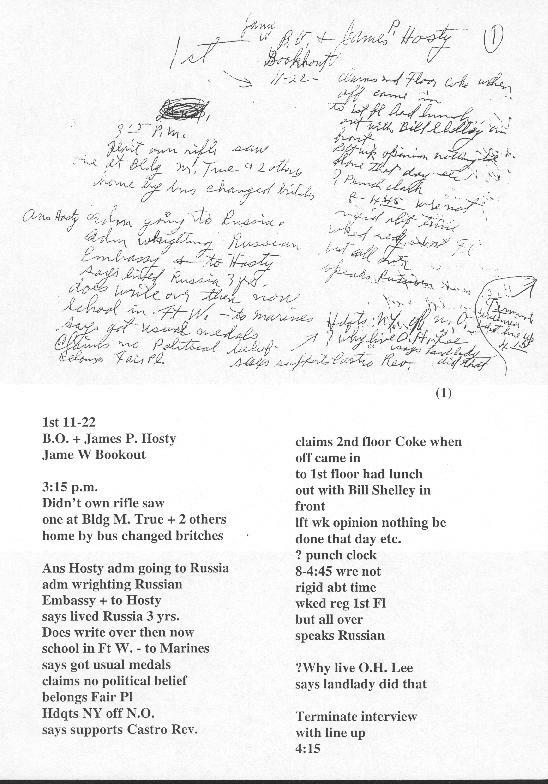 We have Mr. James P. Hosty's receipt for these items in our report. I don't remember the name Roger Craig, but I do remember a man coming into my outer office and I remember one of my officers calling me outside the door of my private office. I talked to this man for a minute or two, and he started telling me a story about seeing Oswald leaving the building. I don't remember all the things that this man said, but I turned him over to Lt. Baker who talked to him. Lee Harvey Oswald was in my office at this time. 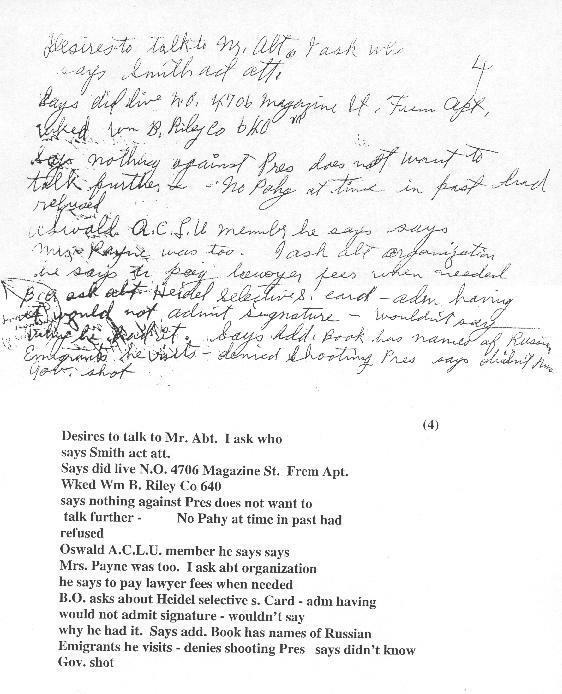 I don't remember anything about Lee Harvey Oswald jumping up or making any remarks or gestures to this man or to me at this time, and had I brought this officer into my inner office I feel sure that I would remember it. There were other officers in ,nay inner office at the time, and I have found no one who knows about the remarks that you have asked about. Signed this 9th day of June 1964. (S) J.W. Fritz,	J.W. FRITZ.